Why is it important to test your startup idea? Picture this: You’re about to embark on a trip and are holding a one-way ticket. Other than a sense of your general direction, your destination is unclear. Once you are on that journey, it’s hard to turn back. That’s how we felt when we started building Hubstaff. My co-founder and I knew that we wanted to build a time tracking tool to help remote teams work better. We understood the problem we wanted to solve and had an idea about the general concept of what might help. What we didn’t know was how to solve the problem, how to test our startup idea, or how the market would react to our solution. These unknowns are exciting adventures for entrepreneurs. When I wake up in the morning, I don’t have a deep desire to go skydiving; I feel the need to solve a problem. There is a great sense of urgency to provide a better solution than before by creating something valuable where there was once nothing. Unknowns are exciting adventures for entrepreneurs. Looking back on it now, part of me wishes I spent a little more time addressing those unknowns. The great privilege and responsibility of growing Hubstaff hasn’t gotten any easier after three years, and part of the challenge came from overlooking the unknowns when launching a startup. This post will discuss various considerations that I would recommend evaluating before starting a business. It’s an unfinished list that took almost eight years to develop, and I wish I spent more time with it when I was developing my business concept. The concept you choose is the single most important decision you will make in your company, so be sure of your startup idea before you buy that one way ticket. Most entrepreneurs don’t get 10 or 20 chances to create a business that takes off. I’ve launched three different concepts over the course of 12 years; one from 2003 to 2009, another from 2009 to 2013 and one from 2013 to the present. The concept you choose is the single most important decision you will make in your company. My advice on concept validation is summarized below in a series of considerations to test your startup idea. If your startup idea can pass most of these tests, go ahead and buy that one way ticket. I’ve divided the list into three sections; Model, Market and Concept. Your business model refers to how your company operates and earns revenue. Take note of how your competition operates and what are acceptable industry practices. Customer acquisition is expensive. One-time sales are unreliable and offer low rewards for effort. On the other hand, recurring sales add stability to your business. If your company cannot rely on recurring revenue from your main product, think about add-on’s that could bring in steady income. These add-on’s can come in the form of information, memberships or regular tuneups. Pass. Hubstaff was always meant to have a SaaS business model and everyone in the market follows the monthly subscription model. I had an ecommerce business selling firearms accessories that I built up to $30,000 in revenue in less than 60 days. I shut it down. Even though I was doing well in revenue, I was spending it all on inventory. In addition, I was shipping fragile and expensive parts like scopes, which caused stress. Even though there was massive opportunity in the market, I didn’t pursue it because most web searches were brand-specific and my price points couldn’t compete with large retailers. Pass. We achieved this because of good engineering, but it’s something that we could have easily failed at. The traffic we get, the screenshots, and the complexity of the product could have added high monthly overheads if not engineered correctly. Look at the average price that your competition is charging. There are markets where the average price per month is easily in the hundreds. Focus there. You could come in and be a low cost provider with a small product and still get a decent price per month. 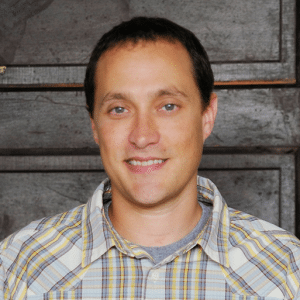 I’d look for at least 60 – 70 a month in monthly recurring revenue (MRR) per client. Look for at least 60 – 70 a month in monthly recurring revenue (MRR) per client. Fail. 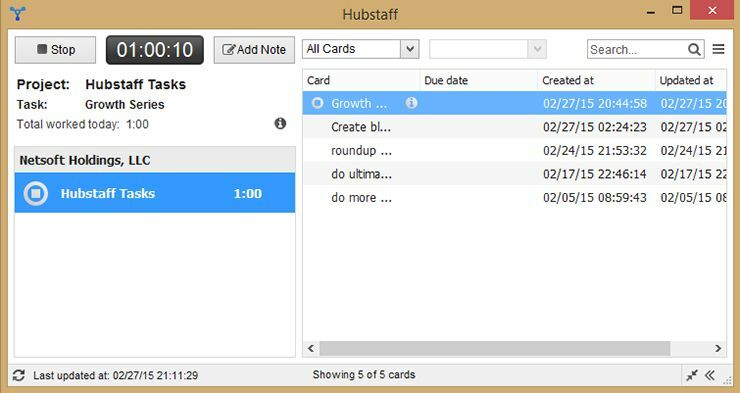 Hubstaff is operating in a market where users typically pay $4 to $10 a month. Since our average team size is approximately five people and we charge $5 a user, we earn around $25 per month from our customers. We are working on ways to increase this, but it’s become a problem for revenue and growth. This is an area I should have invested more time and research in while developing our business concept. Your business model should be able to make at least $1,000 a month from some subset of your clients. You don’t have to make this with all your clients, but you should at least have a model in place that enables it. Pass. For Hubstaff, this opportunity comes from larger customers of 200+ people. Investors want to see you operating in a billion dollar market. You should have a healthy supply of clients in your industry. It’s better to have 1% of a massive market than 20% of a minuscule market. It’s better to have 1% of a massive market than 20% of a minuscule market. Pass. We are in a large market. Although there aren’t many searches for “time tracking software for remote teams,” the virtual employee market is large and getting larger. There are plenty of remote teams around the world, and it’s a business model that is gaining popularity. Any business I start must have the ability to be globally accessed and utilized. I learned this lesson in my first ecommerce business, where I had customers from all over the world (I learned that there are some incredibly friendly Australians). After working with a global market, it’s almost impossible to go back to locally limited businesses. Working with international clients is not only fun, it also opens multiple opportunities for your business. Working with international clients opens multiple opportunities for your business. Pass. 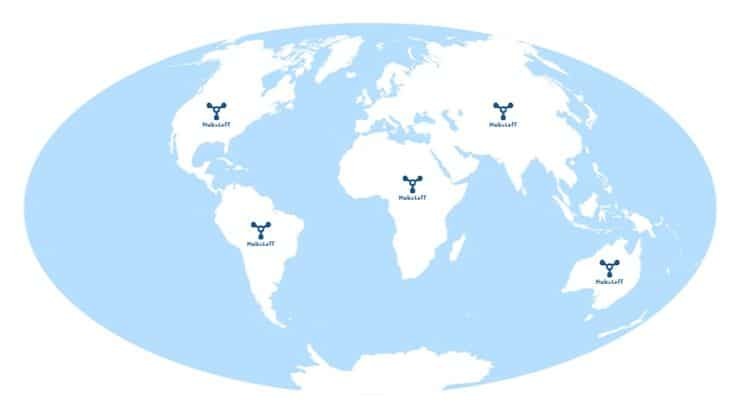 Currently, approximately 50 percent of Hubstaff’s client base is outside of the USA. You need to know exactly where to find your customers. You need to know where they hang out online. Ideally, you should have a specific demographic to sell to (ie. chiropractors, lawyers, golfers, etc.). This makes advertising simpler and helps make your marketing more effective. You need to know exactly where to find your customers. Fail. This is one area that Hubstaff struggles with. In the early business conceptualization, I understood that this would be a large challenge, yet still bought my one way ticket into the idea. I should have done more research in the early stages of the business. While I was operating in a market wherein someone else was the specialist, I had to pay for content creation. That isn’t ideal. You should build up your own audience and be able to create content on demand. You should build up your own audience and be able to create content on demand. Pass. Hubstaff is based around my expertise (management), and I love it because I can create content all day long. It’s my specialty. Your business concept is the foundation of what you’ll be doing every single day for the foreseeable future. It determines the audience you will target, the industry you will be in and the type of customers you’ll serve. 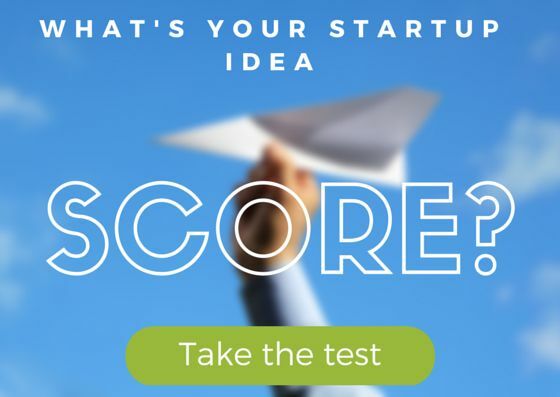 Testing your startup idea and putting enough time, effort and thought into this concept will help shape your company’s direction immensely down the road. If we were operating in a Web-only business, we could have finished our product more than 12 months earlier. One of the benefits of having desktop software is the large barrier to entry. It’s hard to get right, so there aren’t many companies who have a quality, functional product. However, there are multiple businesses that can be created without anything more than online work. If I had to reconceptualize Hubstaff, I’d focus on Web only. Fail. We learned the hard way that desktop software is costly to develop, both in regards to time and money. It’s also difficult to find developers, and it takes plenty of technical skill to get it right. In other words, it was extremely difficult to take our product from Web only to a desktop software. What value does your customer receive from your product? Does it save them money or time? Does it make it easier for them to make money? What is the ROI of your product? Pass. Providing something valuable to our clients was the entire reason we built Hubstaff. Before Hubstaff, it was difficult for me to manage my team without micromanaging. Hubstaff makes it easy to see what each team member is doing and ensure efficient work with minimal monitoring. It’s also billed as a SaaS application instead of taking 8 to 11 percent of payroll fees. This saves some of our customers more than $20,000 annually. The viral aspect of a concept refers to how well it can grow and spread without the organization having to pay for user acquisition. When a concept has the potential to go viral, it means the idea can spread with little or no effort thanks to the nature of the product or service provided. Pass. Hubstaff has a high viral aspect of growth thanks to the nature of our product and the market we serve. Virtual business owners use Hubstaff to monitor their freelancers, who in turn are introduced to Hubstaff and recommend it to their other clients. As the number of businesses and independent contractors who use Hubstaff grows, so does knowledge of the Hubstaff brand. How simple is it to get people to use your product? Can you onboard new users with one easy click? Or do new users have to jump through hoops in order to begin using your product or service? Make it easy for your current users to invite new users, and for potential customers to sign up and begin using your product. For example, KISSMetrics and mixpanel requires users to have events set up and developers involved. In comparison, Google Analytics is up and running after installing js code. Make it easy for your current users to invite new users and begin using your product. Fail. In order to onboard a new user in Hubstaff, you have to invite your team and download the Hubstaff app (Mac, Windows or Linux depending on what your team member is using). There may be pushback from the team, your employees might not understand how to install the Hubstaff client, or other technical issues might arise. Attribution relates to brand recognition. It refers to how well your brand can be attributed through your service and other channels. For example, Hello Bar is a service that allows different websites to take advantage of the typically underutilized space at the top of a web page. Each Hello Bar, used on multiple websites, are all branded with a link to the Hello Bar homepage. Fail. Hubstaff doesn’t currently have any way to gain brand recognition through attribution channels. Our product operates seamlessly in the background, and is not at the forefront of virtual businesses or online marketing. Therefore, our product and services often go unseen by everyone except our users. Even our users’ clients, who may receive automatically generated Hubstaff time and activity reports as part of their invoices, don’t know that the data comes from Hubstaff. How much support will you need to provide to gain one paying customer? Ideally, you would only have to provide support to one person for every one paying customer. Keeping the ratio of users who need support to paying customers low will help control the time and effort needed from your support teams. Ideally, you would only have to provide support to one person for every one paying customer. Fail. Hubstaff must support multiple users in order to earn one paying customer. For example, in our five-user plan, we must support five users for a single paying customer. In our 10-user plans, we have to provide support to 10 users for one paying customer. There’s also the possibility of lowered onboarding levels, because even if just one out of 10 users encounters a problem, it might be enough to dissuade that one paying client from continuing with our product. Is this a product that your customers are going to incorporate into their daily routine? If your customers rely on your product, it will limit cancellations and reduce turnover. Services such as web hosting, Gmail add-ons, WordPress plugins, Intercom.io and email services are inconstant use by the customer. This type of business concept proves useful on a daily basis, whereas services such as Gotomeeting may not be needed very often (I use it about 3 hours a month). Pass. Our customers manage their entire teams on Hubstaff. They use our software to pay employees and invoice clients based on time worked. Managers are able to see daily reports, screenshots of employees workday and analytics of how productive an employee was. I’ve seen products get to MVP (minimum viable product) in less than 30 days. Talk to a good developer and understand the timeframe. Fail. The first phase of Hubstaff (MVP) took about seven months to complete due to the overall complexity of the product. We had to worry about complex user settings, permissions, timezones and features that other products just don’t have. In addition to building a complex web application, we also had to develop our desktop applications. We needed to invest large amounts of time and money into building a quality, functional and valuable product before we could even start distributing and billing our clients. As you can see, Hubstaff scored 9/16. Overall, Hubstaff was an excellent venture, but not without its challenges. 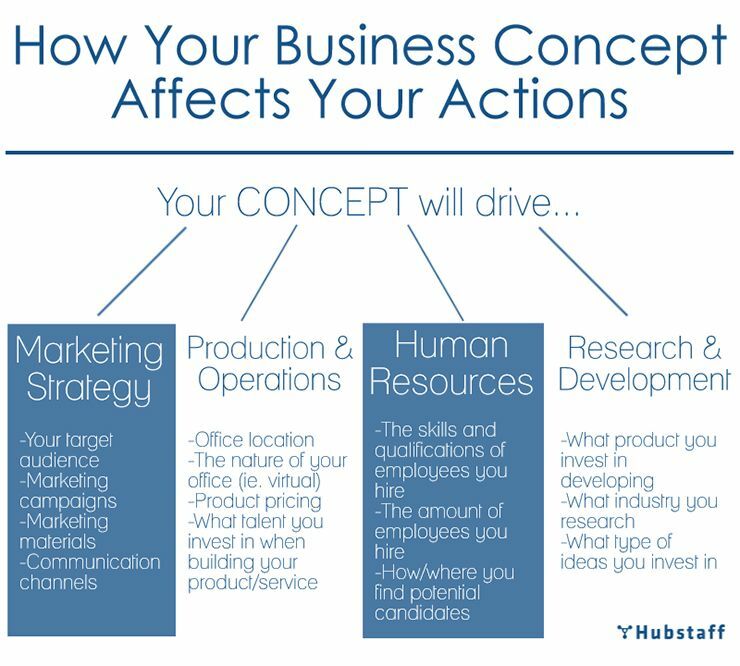 If I were to revisit the early stages of my business concept, I would have paid more attention to the areas where Hubstaff failed and researched what we could do to remedy its downfalls. Analyze your methods, market and concept before you buy that one way ticket. The list above will help you test your startup idea and can warn you of any potential issues with your concept. 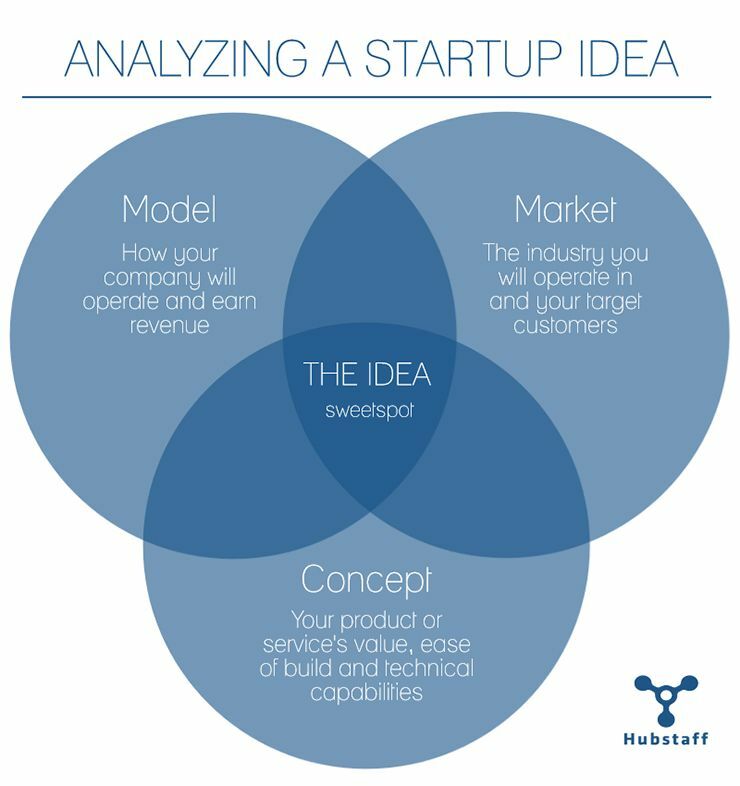 Make sure you consider each test to understand the strengths and weaknesses of your startup idea. Analyze your methods, market and concept before you buy that one way ticket.